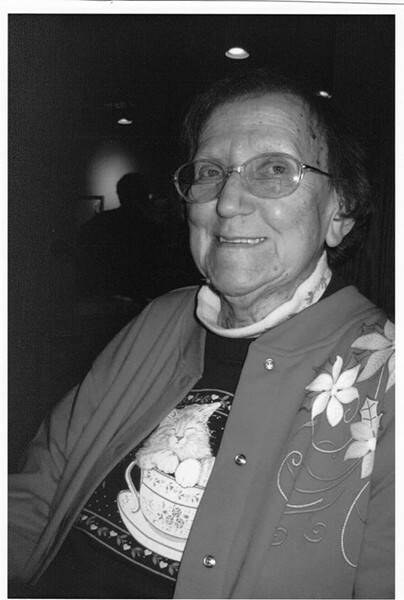 Theresa Clara Perras passed away on June 29, 2015. She was born on May 13, 1934 in Winooski to the late Edouard and Agnes (Charpentier) Leclair. She enjoyed playing several musical instruments, singing, playing games but her biggest joy was her family. She proudly raised her six beloved children. Left to cherish her memory are her six children and their spouses, Charlene (Dale) Johnson of Colchester, Mary Jane (Tim) Curry of Colchester, Susan (Arlington) Hazen of Fairfax, John Perras of Colchester, Barbara (Nigel) Churchill of Bakersfield, and Debra (Gerald) Pedigo of Broaddus, Texas, seventeen grandchilden Darrel Johnson, Michelle (Paul) Baker, Sherry Trayah, Kirsten Rand, Jeremy Driver, Stacy (Benjamin) Mitchell, Gregory (Tonya) Corrigan Jr., Christopher Corrigan and fiancee Alexis Anderson, Grace Hazen, Angie Baitz, Kyle (Toni) Baitz, Jordana Churchill, Samantha Churchill, Joseph (Angela) Perras, Rachel Perras, Brittany (Eddie) Sharrer, and Elizabeth (Billy) Skaggs, 15 great-grandchildren, extended family and countless friends. Theresa was predeceased by her brother Clement Leclair and sisters Pauline Goss and Maguerite Blanchard and cousin and special friend Anita Leclair. Visitation will be held from 4:00 to 7:00PM Monday July 6 at LaVigne Funeral Home and Cremation Service, Winooski. A Mass of Christian Burial will be held 11:00AM Tuesday July 7 at St. Francis Xavier Catholic Church, Winooski. Donations in her memory may be made to the VNA Adult Daycare program or the Children's Miracle Network. Condolences may be shared with the family at www.lavignefuneralhome.com.